To improve the accessibility of environmental friendly transport services it is planned to continue cooperation in increasing the number of rental and charging points for electric cars in the city center and the city also intends to bring electric bicycles into the streets of the city. Tarty city management and development follow the smart city concept, including optimization of the city transport system and making it more environmental friendly. In cooperation of ELMO Rent (company of PAKRI) and Tartu city the new rental point of electric cars is opened with the goal to develop the accessibility of electric car shared service even better both for residents as well as for the visitors of the city. One new rental point is opened today, on March 21, on the parking lot Soola tn 3, at the hotel Tartu near the bus station. In addition to driving shared service the city of Tartu also contributes to the improved accessibility to other environmental friendly transport services. Currently Tartu bike circle tender is going on with the goal to create a convenient possibility for the people of Tartu to use electric and ordinary bikes for efficient everyday movement. ELMO Rent has been offering electric car short-term rental service since 2013. Last September, after the privatization, focus is aimed at the service development as well as at opening of new rental points. “The selection of the rental point at the Tartu bus station is anyway a logical step, as logistically this is one of the best locations in the city – close to busses, shopping centers and the market. In fact, we are moving the rental point from the Science Center Ahhaa to a new location, so that it would be even more convenient for our existing and future customers to use the service”, clarified Enn Laansoo, Jr, ELMO Rent CEO. Opening the new rental point means coverage of all major transport arteries for ELMO Rent. In addition to Tartu bus station there is a rental point at the railway station and residents of Annelinna are being served at the rental point at Eedeni department store. 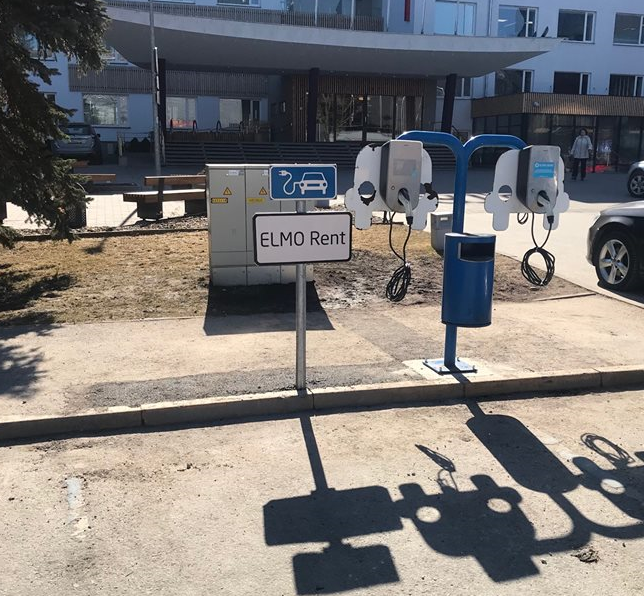 Expanding the network of rental and charging points the city of Tartu and ELMO Rent are planning joint efforts in promoting electric transport. In the near future the city is planning to install five fast charging points in the central part of the city within the framework of the SmartEnCity project, one of these locations is the mentioned parking lot between the bus station and hotel Tartu. At this rental point ELMO Rent standard chargers for rental electric cars will also be installed. “The city of Tartu has been investigating the interest of private sector to providing shared rental services in apartment block districts for several years, so that residents would get a real alternative to buying a private car”, said vice mayor Raimond Tamm. “By now we have mapped the locations suitable for installation of some additional chargers and ELMO Rent and the city of Tartu are ready to cooperation for the implementation of this nice idea”, lifted Laansoo Jr. the curtain of future activities.